More than 50 million BlackBerry mobile phones have been sold worldwide since Research in Motion (RIM) launched the handsets ten years ago, it has been announced. The company revealed the new statistic this week as part of its decade anniversary along with a number of other facts, including the claim that BlackBerry currently has a user base of 21 million people. Eric Zeman of InformationWeek appeared to be amazed that it had been so long since the first BlackBerry mobile phone entered the communications marketplace. “Wow, it’s already been ten years since the first BlackBerry launched? It seems like it wasn’t that long ago,” he remarked. 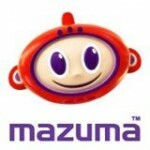 BlackBerry handsets are among a number of mobile phones that are available to recycle online through Mazuma Mobile. Users can trade in mobilephones – working or broken – from manufacturers such as BlackBerry, Motorola, Nokia, Apple, LG and HTC in exchange for cash.